Breaking: Establishment Plotting Amnesty Surrender Today! The Senate Appropriations Committee released the final text of President Trump's immigration proposal, the End the Shutdown and Secure the Border Act. It provides the full $5.7 billion for border wall construction and hundreds of millions for immigration enforcement programs and includes NO permanent amnesty and NO pathways to citizenship for illegal aliens. Democrats and open border Republicans are scrambling to change that. They are trying to push through amendments to not only water down the wall funding, but to give citizenship to illegal aliens as well! The first votes are going to be held today. It is up to YOU to stop Congress from watering down the bill and adding new amnesty provisions! Please, send your instant FaxBlast to Congress before it's too late and DEMAND that they pass the End the Shutdown and Secure the Border Act without any new radical amendments! President Trump's offer to end the shutdown is extremely generous. He has offered to trade full border wall funding for the BRIDGE Act. The Senate Appropriations Committee just released the full text of the End the Shutdown and Secure the Border Act. It not only funds all of the border wall construction that President Trump asked for, but also provides hundreds of millions of dollars for border and immigration enforcement programs. On top of that, it funds humanitarian programs to ensure that illegals crossing the border are treated fairly and with dignity. In exchange for all of this, President Trump is offering to defer deportations for the 700,000 DACA recipients for three years, to give you and your colleagues more than enough tie to hammer out a permanent immigration plan. This is fair. Frankly, the President's offer is too generous. Amazingly, the Democrats who sponsored the BRIDGE Act last year are now declaring that it isn't good enough anymore. Not only do they want to water down the wall funding, but the Left also wants full, permanent amnesty, including a pathway to citizenship. You CANNOT allow this to happen! Do not allow open border leftists to reduce the wall funding or limit where fences or walls can be built; Do not allow them to make the deportation deferrals permanent; And whatever you do, DO NOT allow them to slip in a pathway to citizenship! We the People are fair. But the Left's counter-offer simply goes too far. 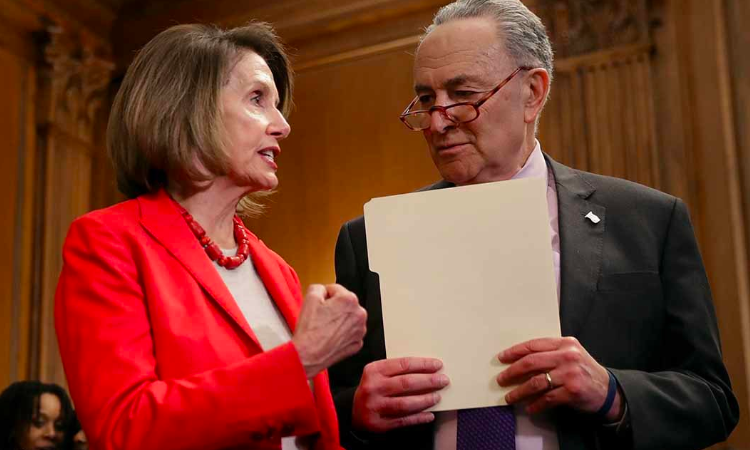 You must pass the End the Shutdown and Secure the Border Act without any new radical amendments. If you compromise any more and put the needs of illegal aliens over your constituents, I will remove you from office.